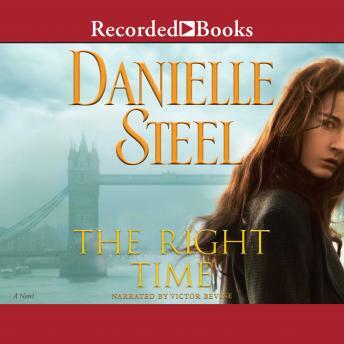 Filled with heartbreak and betrayal, triumph and fulfillment, The Right Time is an intimate, richly rewarding novel about pursuing one's passion and succeeding beyond one's wildest dreams. Abandoned by her mother at age seven, Alexandra Winslow takes solace in the mysteries she reads with her devoted father-and soon she is writing them herself, slowly graduating to dark, complex crime stories that reflect skill, imagination, and talent far beyond her years. After her father's untimely death, at fourteen Alex is taken in by the nuns of a local convent, where she finds twenty-six mothers to take the place of the one she lost, and the time and encouragement to pursue her gift. Alex writes in every spare moment, gripped by the plots and themes and characters that fill her mind. Midway through college, she has finished a novel-and manages to find a seasoned agent, and then a publisher. But as she climbs the ladder of publishing success, she resolutely adheres to her father's admonition: Men read crime thrillers by men only-and so Alexandra Winslow publishes under the pseudonym Alexander Green, her true identity known only to those closest to her, and creating a double life which isolates her. Her secret life as the mysterious and brilliantly successful Alexander Green-and her own life as a talented young woman-expose her to the envious, the arrogant, and Hollywood players who have no idea who she really is. Always, the right time to open up seems just out of reach, and would cost her dearly. Once her double life and fame are established, the price of the truth is always too high. Book was fabulous: the narration was hard to hear, even with speakers; the narrator's voice undulated too low for the female parts.